Some may know Tunya Griffin as an astute bible teacher and orator. She has a distinct ability to transcend tradition in her delivery of the gospel through widening spiritual parameters in order to reach diverse people from various cultures, denominations, and backgrounds. She is one of four children born to Frank Griffin, Sr. and Alexzina Griffin. Tunya Griffin was raised along side a diverse array of siblings: Frank Jr., Sonya, and Antoinette. She was born and raised in Rochester, NY. When she meets people they often ask her, “How did you grow up?” She always responds that “I grew up like the Huxtables. Really, I did.” The only difference was that her father was not a doctor, nor was her mother a lawyer, but the same values that were instilled in the Huxtable children were similar values that her parents instilled in her and her siblings. She is a proud mother of three children: Lavonne Richards Jr. (25), Franseau Richards (22), and Mahalia Rivera (17). In 1982-86, she attended and graduated from East High School. Thereafter, she attended Kansas State University where she majored in Business Administration. At the age of eighteen she returned to Rochester, NY and attended Monroe Community College. After transitioning from MCC she decided that she would become a homemaker, but instead God had a different path. In 1995-96 she continued her education and graduated from The State University of New York College of Brockport, Rochester Educational Opportunity Center. Additionally, she decided to further her education so she enrolled once again at MCC. During the time of attending MCC,she felt that God was calling her to be equipped to teach the Body of Christ. “One day I decided to drive out to Roberts Wesleyan College and the rest was history,” she recalls. 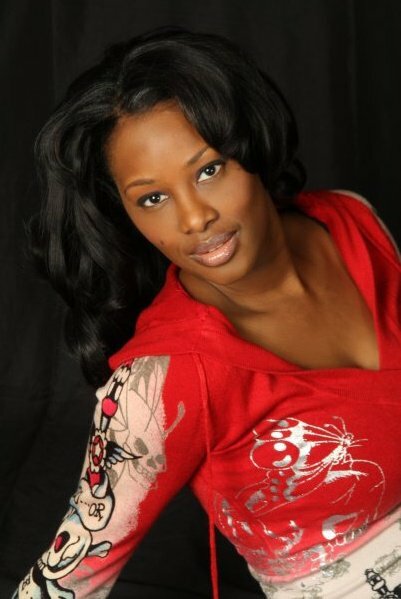 In 2007, Tunya Griffin went on to attain a Bachelors Degree in Organizational Management from Roberts Wesleyan College. In that same year Tunya applied to Northeastern Seminary and was accepted. Today, she is working towards her Masters of Divinity. “My goal upon completion of my Masters degree is to further my education by earning a Doctorate of Ministry,” she says. We interviewed Tunya for the Positive Sisters edition of www.shalenadiva.com and here are her responses on life and her company, Life Givers. “Brand me original” is a quote and motto I live by and created. I live by this quote and motto because I believe that every person should have the freedom and flexibility to be an original work opposed to any copy or imitation. Therefore if I am going to be a Brand that is original then that allows me the right to be authentic with all my flaws. As Lisa Marie Carroll stated, “I will act original, be original, I will not die a cheap copy. Lifegiver Inc. understands that in a constantly fluctuating and changing economic climate, companies, brands, and businesses have a tremendous opportunity to stand up, take a leadership role in their industries and marketplace and clearly explain to my audience that my passion is to Empower, Encourage, and Inspire young women and women; one woman at a time to live a Happy and Healthy Life. Teaching Biblical Principles that will empower, encourage, and inspire young women and women to live a happy and healthy life. What motivated me to help young women and women were various reasons. One specific reason I wanted to help young women was born out of my experience as a teenage mother. At the age of sixteen I had become a teenage mother. I can remember stating that “it was the day that changed my life.” As a result of becoming a teenage mother at a young age the odds of being successful were stacked against me. Teenage mothers are more likely to drop out of high school – fewer than 2% earn a college degree by age 30. Children of teen mothers do worse in school than those born to older parents they are 50% more likely to repeat a grade, are less likely to complete high school than the children of older mothers, and have lower performance on standardized tests. I completed a Bachelors degree and pushed me to work towards a master’s degree. I have successfully raised my children. My eldest is working on a Master’s degree. My second child is a sophomore in college and my daughter is a senior in high school. What motivated me to help empower, encourage, and inspire women was born out of my lived experiences of overcoming various obstacles and standing under the criticism and pressure of those obstacles. In particular, in 2009 it seemed as though everything that could go wrong did. Specifically, I thought that I was on my way to being engaged, but a secret life of the person I was dating unfolded after four years of dating. My findings were that he secretly flew to Las Vegas and married someone else whom he was already living with. It was tumultuous in that, I had not dated anyone in ten years, I was just launching Lifegiver inc., working over forty hours as a Market Area Sales Representative, and completing my core seminary courses. Out of this experience, I learned that although people may have good intentions on helping a person through a difficult time, the fact is that many people lives are too busy to commit to: late night phone calls, unwanted visits, crying, praying; and staying up late at night to help a person receive his or her total healing. As I stated, one of my passions is to help women through this journey so that they are empowered, encouraged, and inspired to live a happy and healthy life. I am in the process of writing a book that will outline specifically these difficult challenges. Lifegiver Inc. Foundation: In 2009, Lifegiver Inc. has partnered with a teenage advocacy program in the Rochester, New York area. Lifegiver Inc. goal is to reach teens all around the world with media, campaigns, and workshops to help those who are teenage mothers and to assist in teenage pregnancy prevention. We go beyond raising awareness; our goal is to influence a culture. As I read this question, I am laughing so hard because we all understand that it takes capital to start a business and any good financial investor or advisor will advise someone who is going into business do not start without capital. For me, I walked by faith and not by sight so to get started it took me $0. Did I use any creative funding sources? Certainly, my friends and family members believe in what I am doing and as a result they sow into the business. Also, my eldest brother Frank Griffin is the Chief Financial Officer of Lifegiver Inc. he utilizes his ten years of leadership experience and financial background to help in the company’s financial planning and record keeping and finding financial resources. What brings me the most joy from my work is when I see young women and women walk away with a confidence that they did not have prior to meeting me or attending one of my workshops. I get a joy out of seeing lives changed. Although becoming famous, your name becoming great, and you may be served by others these are only by-products; but they should never be your motivation. The motivation should be born out of a love and a concern for people to see that they are happy, healthy, and whole. Tunya, have you ever experienced someone “in the church” trying to discourage you from sharing God’s word simply because you are a woman? Good question Shalena. From my past experiences, I have not been discouraged to share God’s word simply because I am a woman. In fact my experiences in the past and present has been favorable. Specifically, I have been encouraged to share the word of God. However there are many churches that believe that women are not called to preach, teach, or lead a flock. Those who oppose women preachers, teachers, or those who lead a flock; support their belief by utilizing Paul’s statement in 1 Timothy that “Let a woman learn in silence with full submission. I permit no woman to teach or to have authority over a man; she is to keep silent with full submission.” In addition, they utilize Genesis 1:26-27 to further support their belief. Contrary to popular opinion there are some who build their whole theology around these two passages.